Moleskine released several new planners for 2010 including the soft cover Project Planner. Whether managing a small, medium or large project we all know the key to success is in the planning. 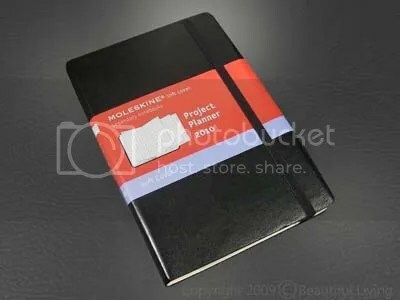 It is the first thing you should do when undertaking any kind of project and Moleskine’s Project Planner can help you achieve your goals and minimize the chaos. Moleskine's soft cover Project Planner is new for 2010. The Project Planner is a handy pocket-sized journal with 54 zig zag pages that fold out for the entire 2010 year. Just like Moleskine’s other planners, the pages are acid free and there is an expandable inner pocket in the back. 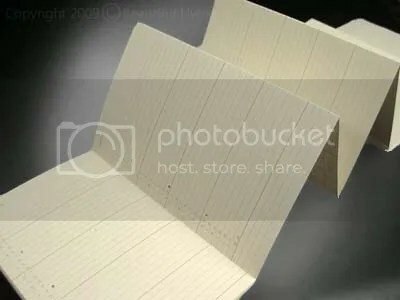 A soft cover and smaller page count make this planner thinner than Moleskine’s other planners, so if you carry an additional small Moleskine notebook or planner, you can slide this planner under the elastic strap of the other journal without adding too much bulk. The paper feels thicker than the paper in other Moleskine planners, so I am hoping it can handle wet pens with minimal problems. One thing that is missing is the ribbon bookmark, although I am not sure it needs it. 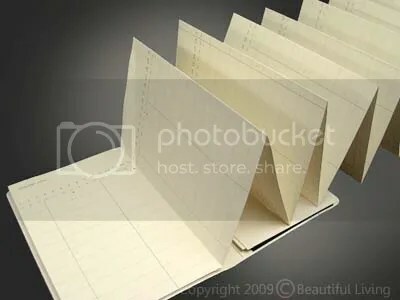 If you really need to mark your page, you could use the elastic strap or a separate bookmark. 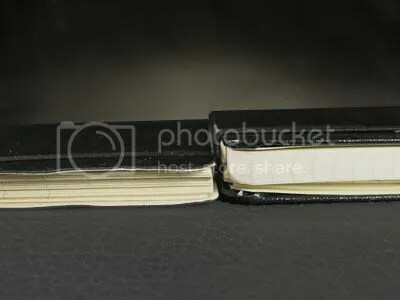 The Project Planner is substantially thinner than the classic, hard cover Moleskine planner, so it can be slid under the elastic strap of your Moleskine weekly planner or other small notebook without taking up too much extra space. The front side of the planning pages feature an extended chart for day-to-day planning across 54 zig zag pages. There are 2 planning layouts for tracking long-term and short-term projects. The front pages include an extended chart for day-to-day planning with a month to view on each 2-page spread. Each week is numbered starting with week 1 in early January and week 52 at the end of December. 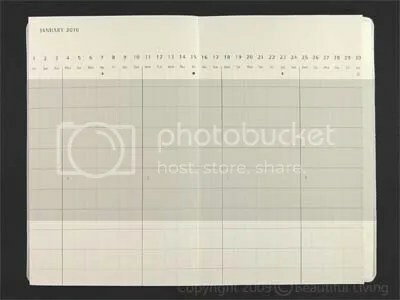 Dates and days of the week run horizontally across each 2-page spread and weeks are designated by a bold vertical line. Each day includes 11 vertical time slots for you to customize. Spread open the planning pages for a long term view of your project's schedule. Close up of a page in the Project Planner. The backside of the accordion pages includes a vertical monthly planner on each page with plenty of room for writing next to each day. Each date and day of the week is displayed and the weeks are designated by bold lines. Each week of the year is numbered with a very small number at the top of each week. 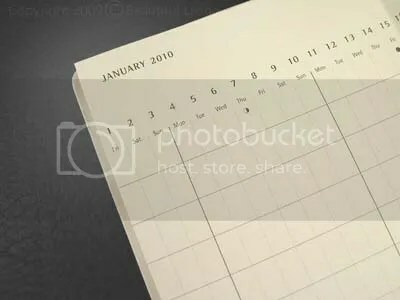 There is also a selection of calendars and charts you would expect to fine here including small planning calendars, a time zone chart, international dialing codes etc. This planning format is perfect for scheduling projects, but I think the chart format would work well for scheduling your kid’s school and after school activities and would also be useful as an agenda for the classroom. The long range view really puts things in perspective. The back pages of Moleskine's Project Planner feature a vertical Monthly Planner with plenty of room for notes. Overall, this appears to be a very useful little planner for long term projects, curriculum or even organizing your family’s schedule. If you have used this planner for work or for play, drop me a line and let me know what you think.